The Vendée department borders the Atlantic Ocean on one side and the Loire Valley on the other, and is named after the lovely Vendée River that runs though the region. It’s a beautiful, peaceful place, but possibly best known for its numerous historic revolts and uprisings, so there’s a historic edge to the department’s serenity. The best places to stay in the Vendée tend to be charming châteaux or guesthouses in smaller towns, rather than the larger centres. One of the main attractions of the Vendée is the department’s beaches, all 200kms worth of them, most of them sandy. A number of beaches have blue flags, and there are a number of seaside resorts, including Les Sables-d’Olonne and Saint-Jean-de-Monts. Many beaches are fringed by sand dunes or pine woods, and there’s a gentle roll in from the Atlantic to the land, rather than dramatic cliffs or rock formations. There’s a great bicycle route along one section of coastline, passing beside the marshes and mudflats, (home to a number of interesting bird species), and there are cycling and walking routes running all over the region. Just inland you’ll find the Marais Poitevin, which is a marshland and forest national park near the village of Mervent. This is a very popular spot with wildlife lovers. The Vendée also has a number of significant churches, abbeys and museums. Puy du Fou (in the centre of the Vendee, between Cholet and La Roche sur Yon) is a historic theme park which has several spectacular special effects shows, including a Viking show in which a reconstructed 1000 year old fortress is attacked by a Viking Longship. Plus, their cinéscénie tells the story of 700 years worth of the region’s history - using a cast of thousands of actors, hundreds of horses and around 400 fireworks per performance. The beautiful Eglise Saint-Philbert in Noirmoutier en L'Ile is well worth a visit, brimming with history and with a wonderful crypt that you must see! The whole family will love visiting Château de Talmont-Saint-Hilaire. Whilst the castle is now in a state of disrepair, there are a number of activities that take place in the grounds including jousting on horses, medieval games, medieval dress ups and crossbow shooting! Bring along a picnic and spend the entire afternoon here. Vendee Miniature model village in Bretignolles sur Mer is a splendid spot, showing typical life in the Vendée during the 19th century with an immense eye for detail. What's more, there are signs in English, so you can learn all about the region's rural life in bygone eras. Our pick of the best places to stay in the Vendee range from a family friendly château hotel to a Michelin starred restaurant with rooms. 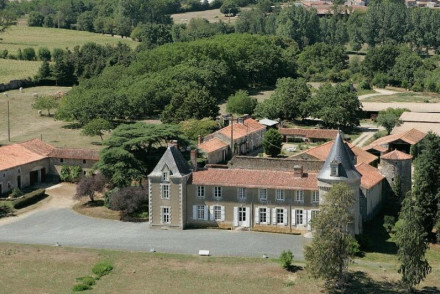 The Château du Boisniard is a 26 room château turned hotel with a wonderful round turret and its own parklands. Inside you’ll find antique furniture but contemporary finishes, while outside as well as the gardens there’s a pool, tennis court and spa. 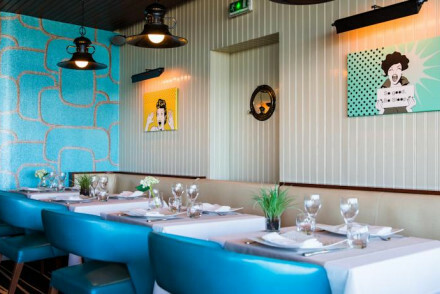 You’ll also find a slick Michelin starred French restaurant and bar. The larger suites are ideal for families. Atlantic Hotel is a trendy beachside spot, offering chic rooms with a nautical theme to them and lovely sea views. You'll love meals from the Le Sloop restaurant, and you're in the ideal location to enjoy both the beach and the town's hotspots. Le Manoir du Moulin is a five bedroom B&B in a 17th Century manor house. This is the perfect spot for those who daydream about rural France, with blue shutters and tiles, yellowstone walls, roll-top baths and plenty of country chic. They’re also big on organic produce, especially if it’s sourced from the local Friday morning market. Château de la Marronniere is a lovely 18th Century Château surrounded by its own 15 hectare park. There are just four B&B style rooms, with pretty wallpaper, fireplaces and large bathrooms. There are also several beautiful public rooms, an outdoor pool, library, playground and gardens. 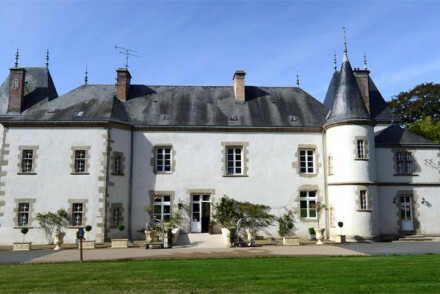 The Château de la Flocelliere is a glorious castle set within magnificent parklands. There are just three rooms and two suites, so you’ll feel you have the whole castle to yourself, along with a large salt-water swimming pool and the beautifully landscaped gardens. Inside you’ll find traditional elegance with toile de jouy wallpapers and pretty fabrics. Le Logis De La Clef De Bois is set in an 18th century stately home and boasts an intimate atmosphere, offering just four rooms. The accommodation oozes traditional charm with four poster beds, exposed wooden beams, tiled floors and antiques. Plus, there's even a swimming pool. 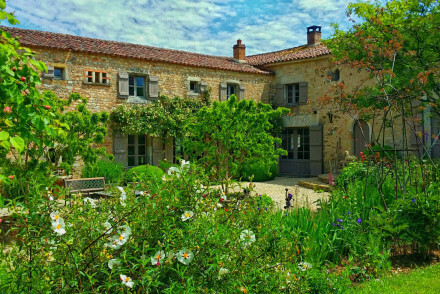 Château de L'Abbaye de Moreille, a former Cistercian abbey, is perfect for romance. Its five rooms are classy and traditional, featuring period furnishings, draped beds and chandeliers - as well as there being private hot tubs. Enjoy Thai or French cuisine from the restaurant. A stunning spot. 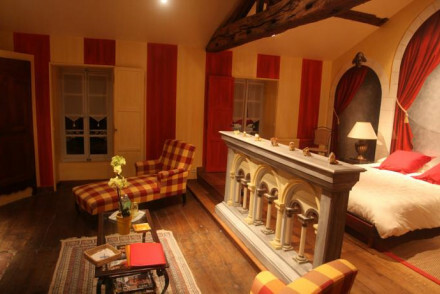 Hotel Thierry Drapeau is a seriously smart option close to Saint Sulpice Le Verdon. Rooms are contemporary, the restaurant holds two Michelin stars and you can even book cookery classes to impress your friends when you get home! You're best off visiting the Vendée in the summer, with July and August experiencing average temperatures of 20°C and this being the nicest time of year to go swimming. However, this is peak tourist season, so if you fancy visiting at a quieter time then late spring may be a good option - when the weather's still lovely but the crowds haven't yet arrived. Whilst the Vendée doesn't have its own international airport, you can easily fly to La Rochelle or Nantes Atlantique, both of which are located just outside the department. Ryanair offers flights to La Rochelle from Luton, Stansted and Dublin, whilst Easyjet goes from Gatwick, Birmingham and Bristol. From the airport to La Rochelle train station take bus number 7, (costing €1.30), and from there to La-Roche-sur-Yon, the department's capital, you can hop on a train which takes just under 2 hours and costs in the region of €15. If you're going to Nantes then Ryanair fly from Dublin, Easyjet from Gatwick and Liverpool, and Flybe from Manchester. From Nantes Airport, there's a shuttle bus service which takes you to the train station for €7. Once at the station, you can take a train to La-Roche-sur-Yon, lasting just under an hour and costing around €15-20. Alternatively, if you're coming from Edinburgh then you can always fly to Poitiers which is a few hours east of the Vendée. However, there's no shuttle service from the airport to the train station, so you'll need to take a cab which should cost about €8. Once at the station, there are a number of trains to La Vendée (with a ticket to La-Roche-sur-Yon costing roughly €20). 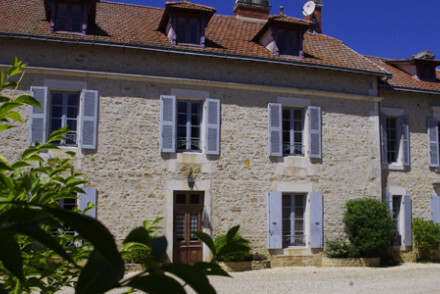 Still not sure which is the best place to stay in the Vendée for you? 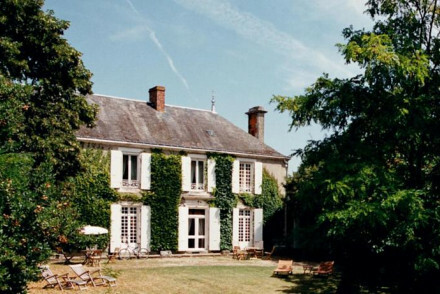 Browse through our list of all the best places to stay in the Vendée. 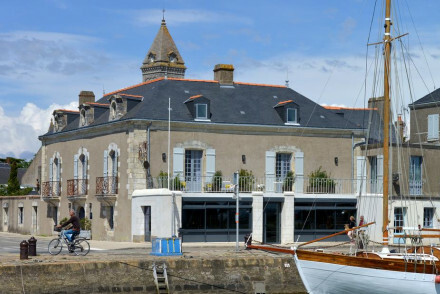 Expand your search to include the best places to stay in the Charente-Maritime. Discover the magic of the Marais at this delightful B&B just 17 km from the golden Vendee beaches. Lovingly renovated 17th-century house has two charming rooms. Superb views of marshes and birdlife. Heated pool, glorious gardens and gourmet dinners on request make this the perfect retreat. Romantic chateau set in parkland has six dreamy rooms with beautiful antiques and chintz fabrics, plus all modern comforts. Excellent table d'hôte and fine wines available. 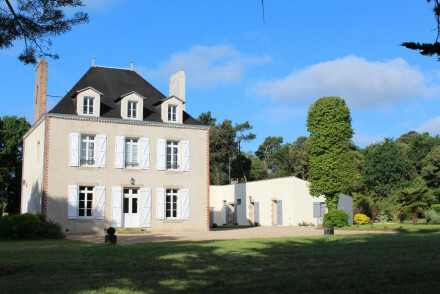 Close to Puy du Fou theme park and Marais Poitevin and close to the sea. Perfect for families, nature lovers and honeymooners. 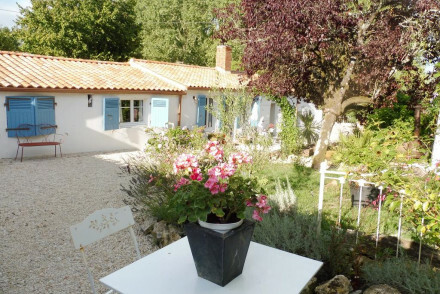 This charming farmhouse sits within an idyllic village on the Vendée coast. Decorated with crisp French linens, the homely bedrooms lead down into a traditional country living room and dining area, where the owner serves outstanding home-cooked cuisine. An intimate location, perfect for couples. 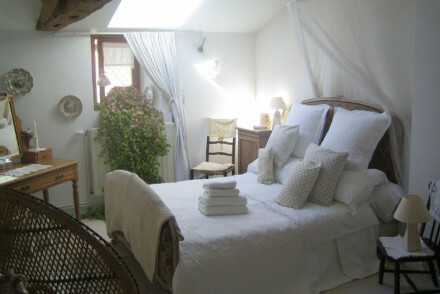 Charming 18th century farmhouse B&B located near La Rochelle. Four beautifully designed rooms are traditional and cosy. Indulgent breakfasts are served and dinners are available on request. Set in picturesque gardens and boasting a lovely pool. A tranquil rural escape. Local exploring - Ideally located if you want to explore the Wetlands of Marais Poitevin or the port-town of La Rochelle. Back to Nature - The beautifully-maintained garden has olive and citrus trees, as well as lavender and wisteria. Total relaxation - There is a swimming pool enclosed by the beautiful gardens. Great walks - Embark on long walks through the Vouvant and Mervent Forest. This peaceful 18th Century stately home boasts a fragrant flower garden. With exposed wooden beams and tiled floors it is awash with original features and antiques. Rooms are homely with four poster beds and en suite bathrooms decorated in warm tones. Enjoy the swimming pool and games room. Hideaway - An ideal property to escape with a good book. Your home-from-home on lovely Ile de Nourmoutier. Five smart B&B rooms individually decorated in a comfortable modern house. Charming independent suite, flower-filled garden, and heated pool. Just 5 minutes walk to beaches or downtown. Activities for all ages nearby. Perfect for family holidays. A unique Five Star hotel set within parklands. Rooms are charming, with antique furniture but contemporary finishes. Outdoor pool, gardens, tennis court and spa to relax in. Superb French cuisine and slick bar area. Luxurious, different and a great family choice. Stunning B&B accommodation in the outbuildings of a lovely 19th-century manor house. Each of the three rooms is different, elegantly furnished with family antiques and original artworks, plus all modern comforts. 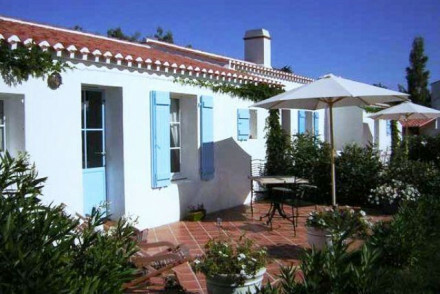 Nestled in a wooded park with the beaches of Brétignolles sur Mer just minutes away. A trendy beachside hotel including an indoor pool and spoiling spa. Interiors have a nautical theme with a retro twist, all feature private balconies and some, private hot-tubs. Le Sloop restaurant is a local favourite and boasts sea views and seafood dishes. Pets and children welcome! Beach Life - A perfect beach-chic property with a nautical theme and positioned right on Les Sables-d'Olonne coastline. Total relaxation - With an excellent spa, fine dining and fresh sea air - this property is meant for unwinding! Great walks - Start your day on the right note and head off for a walk along the Bay of Les Sables d’Olonne. 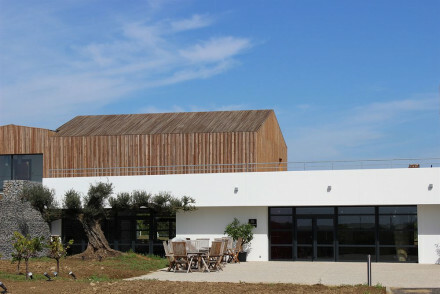 Contemporary hotel in the countryside by Saint-Sulpice-le-Verdon. Chic rooms, some with psychedelic colours, all with garden views and big bathrooms. Spa, hot tub, vegetable garden and outside terrace are at your disposal. Gourmet cuisine in the Michelin-starred restaurant. An absolute delight. Charming B&B on the idyllic island of Noirmoutier, offering contemporary rooms decorated in muted colours, artworks and floral bedspreads. Indulgent breakfasts are served and there's bicycles to explore the area. A charming base ideally placed in the town centre. Beach Life - Only 1 mile from the beautiful Plage des Dames. Local markets - The outdoor market in the town centre, every Tuesday and Friday, sells fruit & veg, meats, seafood and art. Sights nearby - The 9th century Castle of Noirmutier is nearby. A former Cistercian abbey, turned homely and sophisticated hotel. Original features, such as draped beds and period furnishings transport you to another time. The pool, sauna and private hot tubs add a contemporary twist. Authentic Thai and French cuisine can be enjoyed in the lounge or dining room. Families - Ideal for families, with lots of board games, a pool and tonnes of space for outdoor activities. Hideaway - Surrounded by acres of lovely parklands, this is the perfect escape from city life. Sights nearby - The Aquarium and the Townhall cannot be missed at La Rochelle. Great walks - Explore the acres of parklands and beautiful private gardens. 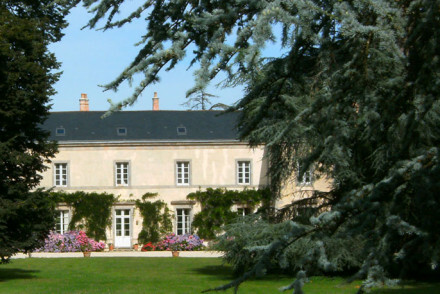 Lovely 18th century chateau in 15-hectare park. Unique rooms are elegant with pretty wallpapers, large bathrooms and fireplaces, with garden views. Beautiful sitting and dining rooms. Outdoor pool, library, children's playground and gardens. A romantic country stay. This 17th century manor house is a French dream: yellowstone walls, pastel blue shutters and hung tiles. Rooms are decorated in a French country style with feature roll top baths. Perfect for foodies and families with organic produce (and several vineyards closeby) plus a list of activities. Fabulous 4* hotel in a beautifully restored 18th-century mansion with 25 individually designed rooms and suites. Décor is upscale, contemporary, sophisticated. Unbeatable location on an island with vast sandy beaches. An idyllic spot for family holidays. Splash in the pool or relax in the spa. A glorious castle in magnificent surroundings of landscaped parklands. Large stunning rooms and suites, all in traditional elegance with toile de jouy wallpapers and pretty fabrics. Large salt water swimming pool, occasional tables d'hotes, and plenty to do in the surroundings. Groups - Accommodation of outbuildings are located 8 km is ideal for a big group of people, though they are dormitories. 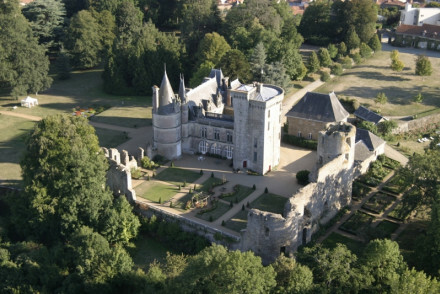 Views - The castle is surrounded by a beautiful landscape of Upper Bocage Vendeen (hills, woods and meadows). Romantic Break - Stunning interiors and a magnificent setting. Garden - Beautifully landscaped gardens.